What is Dot Grid Paper? If you’ve done any bullet journaling you’ve probably heard about dot grid paper. It is a favorite among the bujo crowd and also people that hand letter or sketch. Do you know why it’s so well loved though? Dot grid is a very faint marking, or ruling, on journal paper that is exactly what it sounds like, dots in a grid. It’s more subtle than lines or boxes so it’s easy to create hand drawn designs on it without the dots being apparent. Once you’ve tried using dot grid paper I think you’ll be a fan. It’s enough of a grid to keep you on track, but it’s faint enough to make your designs stand out. If you’re new to Bullet Journaling be sure to read this first and get your crash course! If you haven’t tried dot grid paper for your bullet journal this is a great way to try it out. Just print a few pages and make your own notebook. It’s a great way to try it before investing in a notebook. We’re pretty sure once you try it you’ll be just as addicted as we are! What is a Dot Grid Notebook? A dot grid notebook is exactly what you’re picturing, a notebook with pages in dot grid instead of lines. There are a few styles to choose from, some have dot grid on one side and ruled paper on another. Some may have dot grid on one side and plain paper on the opposite page. Others will be entirely dot grid on all the pages..
A few of these notebooks have become very popular with the rise in Bullet Journaling. Here are just a couple that we can recommend. 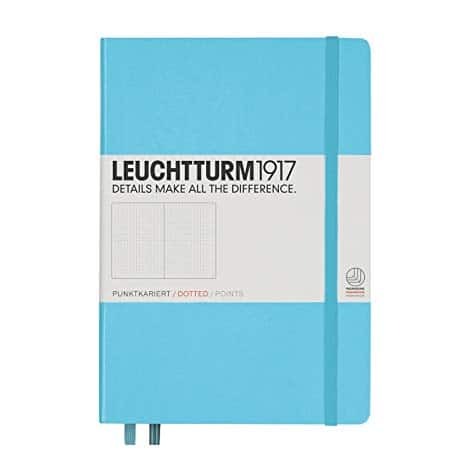 Leuchtturm has many fans, and is one of the most popular bullet journal notebooks. I believe that almost every serious bullet journaler will recommend this notebook. I wouldn’t consider myself a “serious bullet journaler” but this is my favorite notebook. Most of their collection is available in dot grid and the paper is is thick enough to not have ghosting (which is the print showing through the back side). 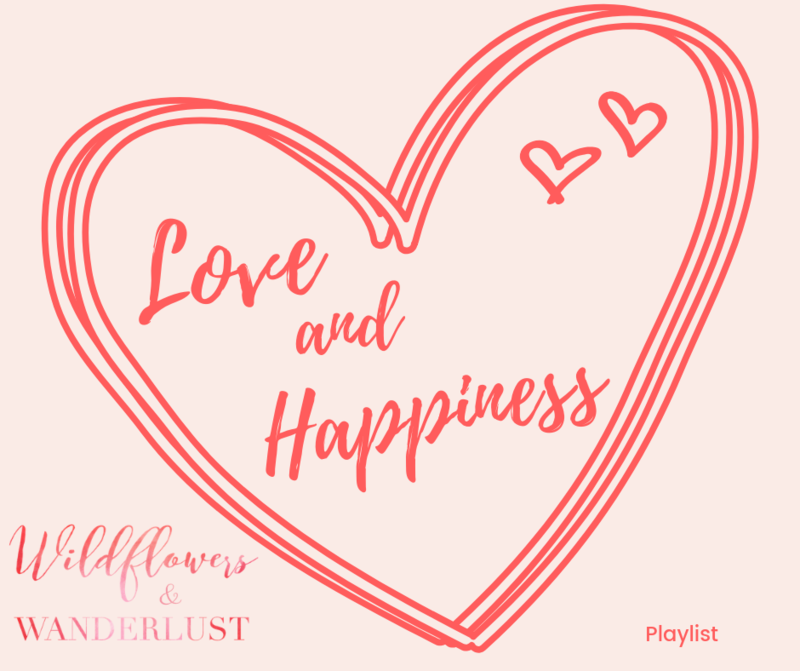 They have various sizes and lot’s of colors to choose from, along with a few bonuses like pages that are numbered, page markers and an elastic wrap. My favorite feature is the envelope in the back flap – I mean I glue another envelope in mine too, but at least this has one to get me started! 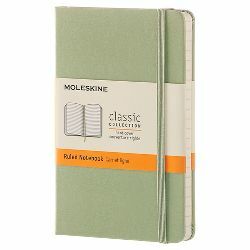 Not all Moleskine notebooks come in dot grid, but the core range of Moleskine Classic does. Moleskine actually calls their paper dotted, but it is dot grid. The dot grid on Moleskine is a little more visible than the Leuchtturm1917, but I think that it compares pretty well. Most people are going to choose one notebook and stick with it so whichever you start with may well wind up being your passion. Why Use a Dot Grid Notebook? Dot grid notebooks are not only popular for bullet journaling, but they are also great for hand lettering. The guide is more subtle than lines so you have a little more freedom to be artsy with your letters. Dot grid can also be popular for sketching. It has a little more structure than a blank page, but it’s not as binding as ruled or grid notebook paper. If you’re a bit OCD like I am, the thought of spending a fortune on a beautiful bullet journal and then possibly messing it up will freeze you with anxiety. I am not artsy enough to just pick up a pen and draw, and these notebooks are expensive enough that I don’t want to be cutting pages out just because I don’t like them. So that is where I find that having a page of dot grid paper comes in handy. I’ve got some dot grid paper that you can download as a practice sheet. Yep, now you can get your idea sketched out without wasting any precious paper in your journal. Or you can use it to sketch or practice your letters. You can even make paper airplanes out of it if that makes you happy! It’s much more fun to aim for the trash when you make paper airplanes. 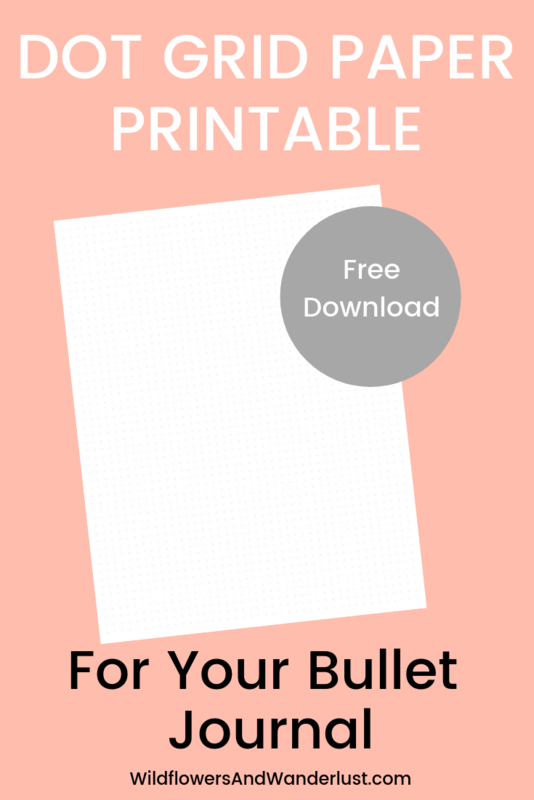 You could also use the dot grid paper to print your own bullet journal pages and store them in a binder. It can be your own version of a bullet journal. Just download this paper and you’ll be all set with your “bullet journal paper”. If you’re using a size other than letter be sure to cut it prior to printing. Choose the size in your printer settings before hitting print. Do not “scale” or adjust the percentage to get the best results. 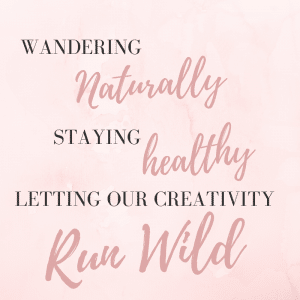 We’ve got more to offer so be sure to check out more Free Bullet Journal Printables and save it to Pinterest so you’ll always be able to find it!